Olympic Gold Medalist and Performance Coach Joe Jacobi personally guides you along a path that improves performance at work, play, and in life. Joe created this framework to move himself through his low points in his health during his stint as CEO of an Olympic sport organization and uses every aspect of the program today to guide his pursuits in business, health, adventure, and relationships. This program, which Joe uses in his work with his corporate and personal coaching clients, consists of 5 modules with 5 lessons in each module. The course presents ideas, concepts, and specific exercises of self investment that you implement each day for 5 weeks. 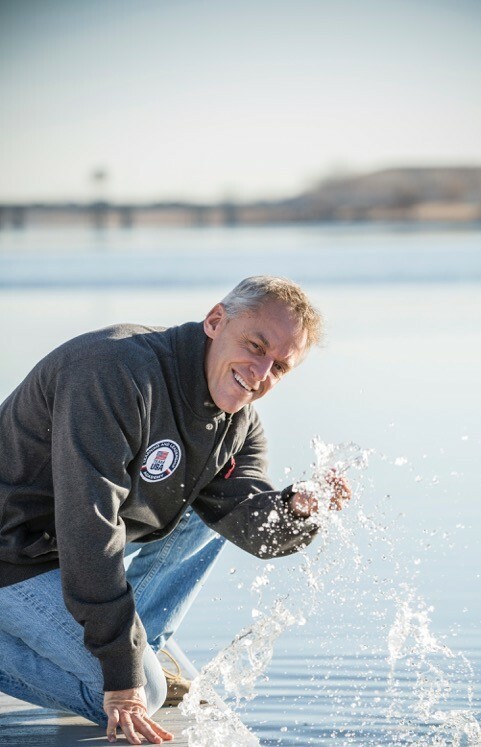 As America’s first ever Olympic Gold Medalist in Whitewater Canoe Slalom, Joe promotes strategies and shares stories for living and performing at your best, doing the work that matters, and engaging with purpose. His platforms include performance coaching and consulting, professional speaking, television broadcasting, and writing. The course will launch in early Spring of 2016. Once started, 5 With Joe is designed to be a 5-week online course that is completely self-paced -- but you can finish whenever you wish. If you are unsatisfied with your purchase, contact us in the first 7 days and we will give you a full refund. Olympic Gold Medalist and Performance Coach Joe Jacobi personally guides you along a path that improves performance at work, play and in life. Joe created this framework to move himself through his low points in his health during his stint as CEO of an Olympic sport organization and uses every aspect of the program today to guide his pursuits in business, health, adventure, and relationships. 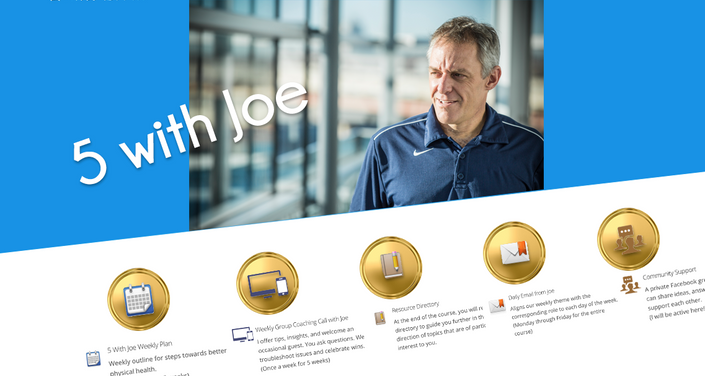 This program, which Joe shares with his corporate and personal coaching clients, consists of 5 modules with 5 lessons in each module. The course presents ideas, concepts, and specific exercises of self investment that you implement each day for 5 weeks.